The team here at Mercedes-Benz of Beaumont was excited to see the brand blow the dust off the old fairy tale in a new advertisement featuring the tortoise and the hare. And what better place to showcase it than this year’s Super Bowl? 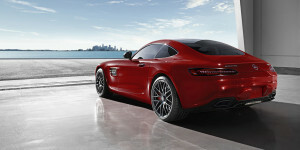 Narrated by actor Jon Hamm, the Mercedes-Benz take on the old classic infuses the old story with a modern classes: the 2016 Mercedes-Benz AMG GT. Interested in learning more about how fast, sleek and stylish wins the race? Head on down to our showroom at 1865 I-10 in Beaumont today, to schedule a test drive of the mighty new AMG® GT or anyone of our constantly growing selection of new and pre-owned Mercedes-Benz automobiles.